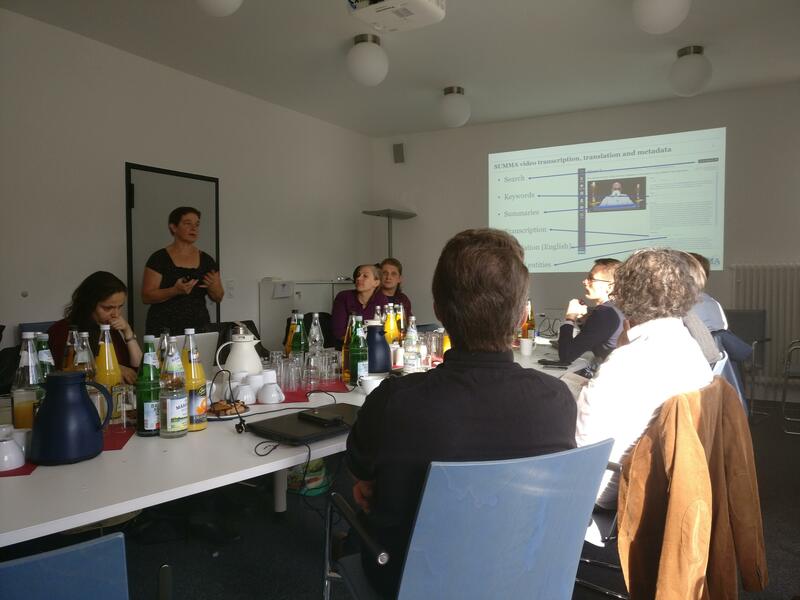 The Deutsche Welle Innovation Team was invited to speak at the Berlin Free University for a group of mostly academic researchers focusing on film studies and technologies on 7 November. 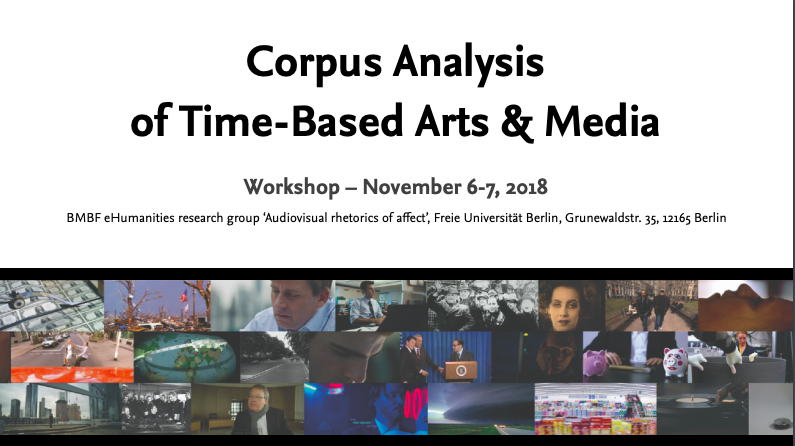 The theme of the 2-day AdA workshop was “Corpus Analysis of Time-Based Arts & Media”. The focus was enriching large data repositories through AV analysis. Thus, a DW team of three headed towards the event. Peggy van der Kreeft enlightened the young film aficionados on the use of language-related technologies, including speech analysis, in particular speech-to-text and automated translation, to enrich video data. This was illustrated by applications of such technologies in four recently completed or ongoing projects: AXES (Access to Audiovisual Archives, FP7), EUMSSI (Event Understanding Through Multimodal Social Stream Interpretation, FP7), SUMMA (Scalable Understanding of Multilingual Media, H2020) and news.bridge (Google DNI). It showed how video and audio data can be searched, enhanced and re-used in different ways using automated transcription, translation, summarization and annotation. Olga Kisselmann covered the second part of the presentation, demoing the Sixth Sense Retrieval Google DNI project which focuses on image analysis of video repositories. Segmentation, scene and shot detection, image recognition, labelling, etc. wrapped up in a user-friendly interface which can be used by media professionals such as journalists and editors, makes it a very attractive tool with high potential to enrich large media archives. Ksenia Skriptchenko, from DW Business Department, gave input to the requirements and challenges on the use of such technologies from a production point of view. It was interesting to demonstrate the projects that the DW Innovation team is or has been involved in and compare it with the work in the same area by the FU Film Studies Department and its results. In particular the project Audiovisual Rethorics of Affect” from the Freie University in Berlin and the Potsdam University ( funded by the German Federal Ministry for Education and Research) offers quite advanced and interesting AV analysis and annotation techniques. Hopefully, knowledge exchange and future collaboration opportunities will bring the two communities closer together.